Rest as long as it takes you to complete 500m. Before getting after today’s Rowing WOD I want you to recall two things. What are you training for and who are you training with? 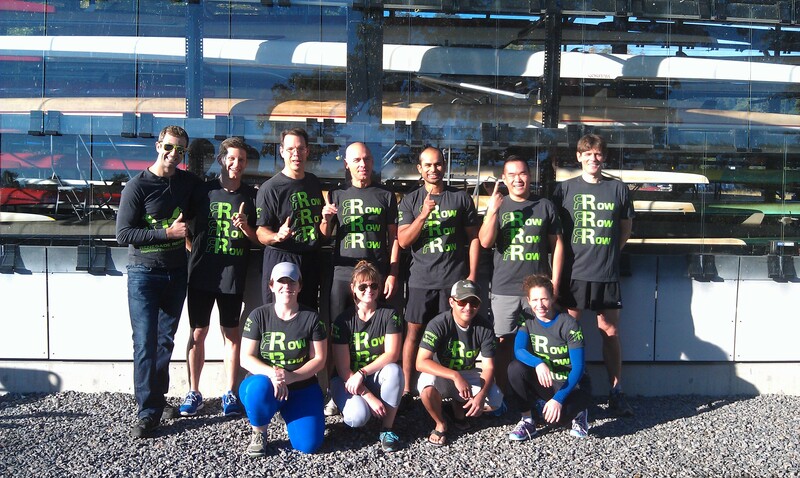 On Saturday we talked about setting appropriate goals, which is a big part of Renegade Rowing. Along with goals you should be finding an appropriate training partner. In terms of the psychology of training and performance, we will always push harder and focus more when there is someone right there next to us. A training partner will make you faster just by being there and holding you accountable. Training partners are huge, especially when that little voice starts to creep inside your head and tell you to stop pulling. Today you should practice a few of the suspension drills we covered on Saturday and then really put that suspension to work in these 500′s. Practice those drills once or twice with your training partner this week when you workout. Along with suspension, today’s Rowing WOD is all about POWER! P = Force x distance / time. 3) Row Higher (increased s/m). For most rowers it’s easy to learn to row longer and higher, but rowing harder doesn’t come easy. That is why we work on General Physical Preparedness! 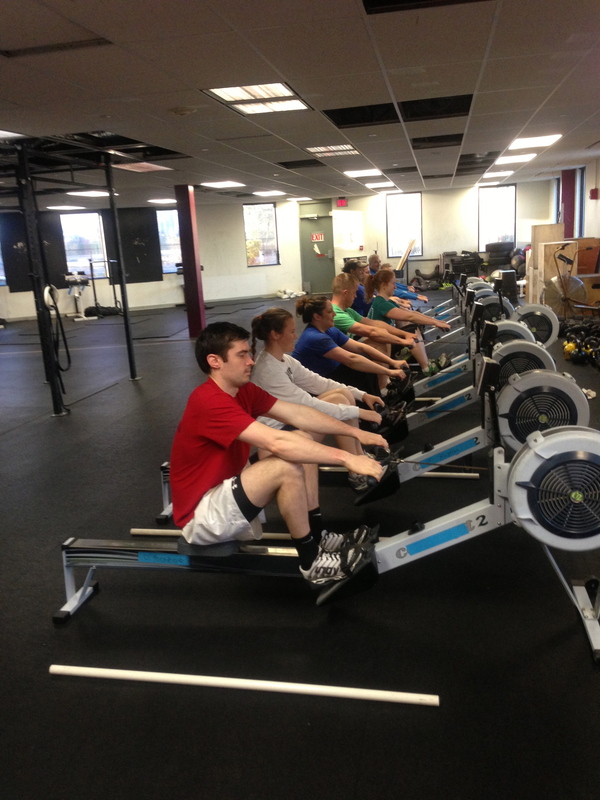 Gym’s like CrossFit Boston are what allows us to row harder, push ourselves, and produce more force each stroke. Keep up with your WODS! In order to row longer we need more compression with the legs at the catch while maintaining a tall posture and not lunging. This requires us to have more flexibility, so keep working on that extra mobility! Hips and Hamstring Flexibility are key! Last, rowing higher means rowing at a higher stroke rating. After playing with the damper setting and learning about drag factors, we have come to realize that we are more efficient at that higher stroke rating. Remember when we need to sprint at the end of a piece we can start to bring that split down by picking up the stroke rating! Before starting today’s Rowing WOD you should review our race plan. My idea for using this race plan is to keep it simple. I’d like us to keep it simple and execute rather than coming up with some elaborate plan that we can’t execute. @250m sprint for the finish line! Post your Average Splits for each piece to comments. Keep practicing Body Preparation and Connection! Have someone watch you and see if you’re getting your body angle set by 1/2 slide and keeping connected as you start each stroke. Good work Ward! During these race pace pieces do your best to row at the stroke rating you’ll be racing at for each piece. I like the 26-28 you started and finished with. Keep up the awesome work! Sick Ward! That’s what I’m talking about. Nice Job!